What can a math teacher find out about math from Twitter? I loved this Deb Costello post. I used to do the same thing before google shuttered real-time search. I loved pulling up “math” at the beginning of my classes to see all the post/updates that rolled in. It was always good for a laugh. 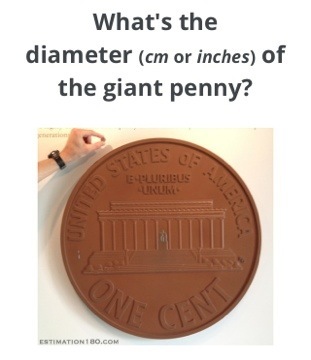 Estimation 180 is a great site for building estimation skill. I can see using this at the beginning of class to stimulate thought. Best of all the site works great on mobile devices. There are a ton of great mobile apps that are beautiful, smart, and addictive that teach arithmetic and number sense. 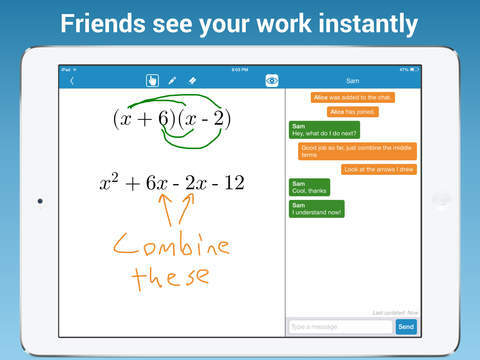 What I’ve been waiting for is an app do the same thing for algebra. 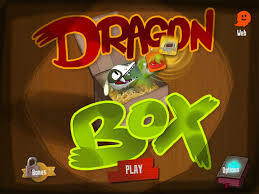 Dragon Box is the first. It doesn’t handle the whole curriculum. It is really just focused on solving linear (and basic rational equations), but when you start one would never even know it. That is what is so awesome about it. It starts much like any other mobile game with some tutorials on the game’s dynamics. There are no x’s, no numbers anywhere. Slowly as you make it through the levels, the moves you make in the game start to be recognizable as the manipulations one does to solve equations, and the objects start to become numeric, and at the very end the variables start to appear. It is extremely well done. I encourage anyone interested in gamification or mobile ed to check it out. It’s a little expensive at $6, but for the first of its kind, it is worth it. I don’t regret buying it. I also hope WeWantToKnow is hard at work on other algebra games. I was blown away by this WolframAlpha demonstration in one of my feeds this week. It led me somewhat tangentially into a discussion with my College Algebra class about the future of math classes when algebraic solvers become as prevalent as the four function calculators everyone has in their “dumb” phones. If that prospect isn’t scary enough for math teachers, check this out. Natural language queries using Siri. Yikes! The only part of my current assessments that is safe (for the moment) is the applied (word problem) section. Time to think up some new questions. Let me know in comments if you have a math game you like. Particularly if it is multiplayer or has a Game Center like component.